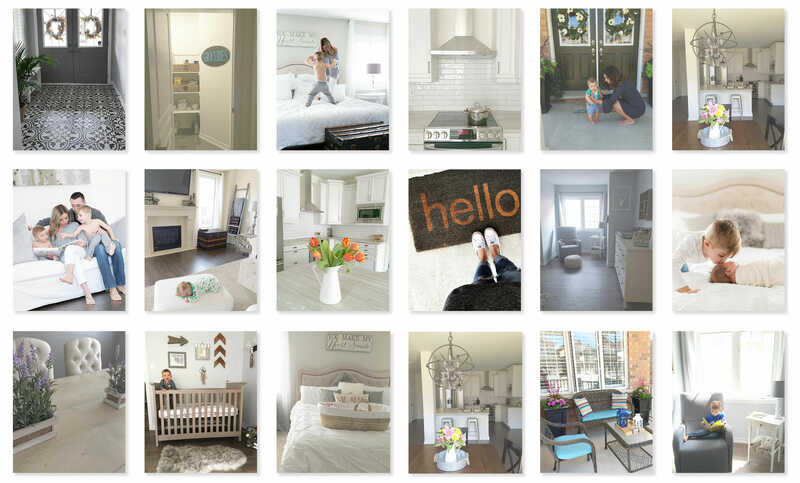 Social media has increasingly become our source for home design inspiration, trends and style secrets from everyday people we’d never otherwise be exposed to. 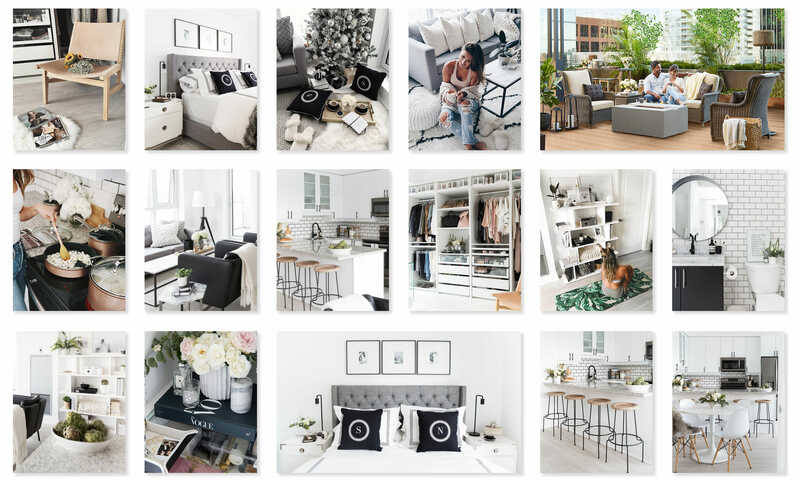 At Empire, we love discovering real homeowners sharing their inspiring spaces with photos of cozy homes to covet. 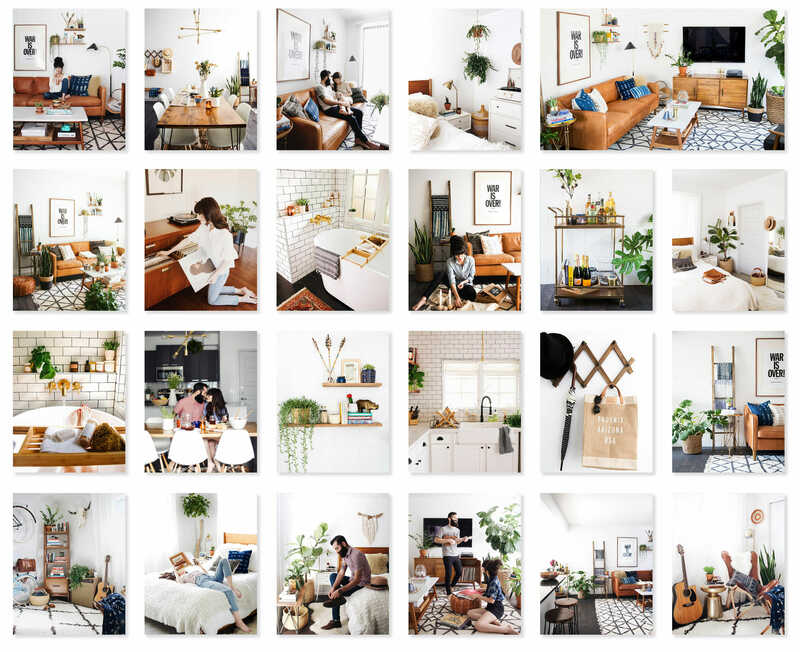 These 6 instagramers with drool-worthy homes have caught our attention. 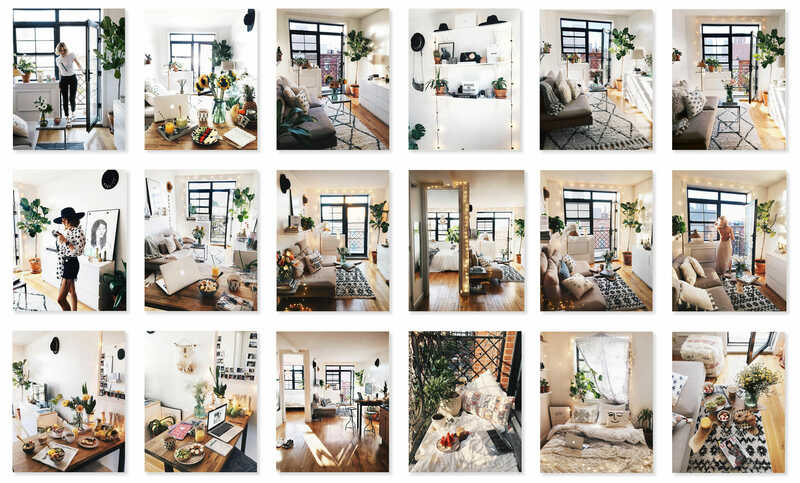 The Brooklynite’s stylish and airy home is a beautiful romanticization of the life of a twenty-something living in NYC. 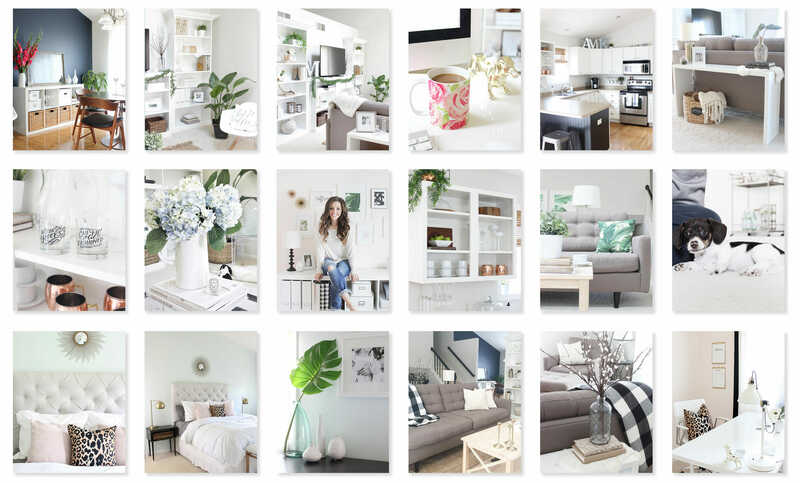 White walls, twinkle lights, tons of plants and rustic accents make the cozy space inviting and irresistibly chic. Toronto-based creator of SS Print Shop, Stephanie Sterjovski and husband share their beautifully decorated condo with crisp white details and carefully chosen decor that displays this couple’s playful personality. We love the harmony between feminine accents and bold monochromatic furniture like their black leather armchairs and grey headboard. Madison, Wisconsin native and girl boss Angela of Saffron Avenue design studio shares her chic apartment and perfectly styled home office online. In addition to beautiful interior photos, Angela shares her absolutely mesmerizing calligraphy skills that have become a signature of her business, and we can’t forget her adorable puppy, which often joins her during work hours. The fashion blogger and icon embodies her distinct California-girl look to the new Sincerely Jules head office with stunning results. From the plush velvet couches to the hanging lounge chairs and discovery area where ideas can flow, we want to live here just as much as work. 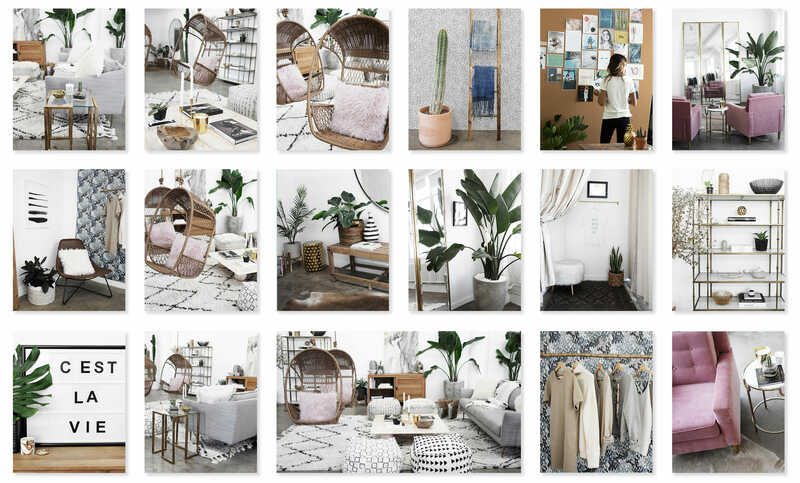 Follow her mostly for fashion and her many globe-trotting adventures, but look forward to glimpses into her decor style at this masterpiece of an office. Natasha Little, of @edentileit uses her professional expertise to create a beautiful and functional space for two growing boys and a busy working mom and dad. As Empire homeowners, the Littles are near and dear to our hearts and we love tuning in to see their family adventures and where Natasha’s keen sense of style will take their Empire home. We love the custom additions they bring to their home, like the to-die-for tiles in the entry way, but especially love Natasha’s practical approach to decor, with a carefully curated mix of custom upgrades and affordable, toddler friendly but ever-so-stylish pieces. Robert and Christina Martinez, the husband and wife team behind the blog New Darlings, share their southwestern chic home showing their dedication to creating beautiful spaces that reflect their personality. A 70s vibe with vintage touches like their iconic tan leather couch and “War Is Over” print, the interiors are cozy and ideal to emulate.